At the end of July, The Henry J. Kaiser Family Foundation released a report entitled "Medicaid and Long-Term Services and Supports: A Primer." If you missed this helpful overview of the current Medicaid and long-term services and supports (LTSS) system, click here. 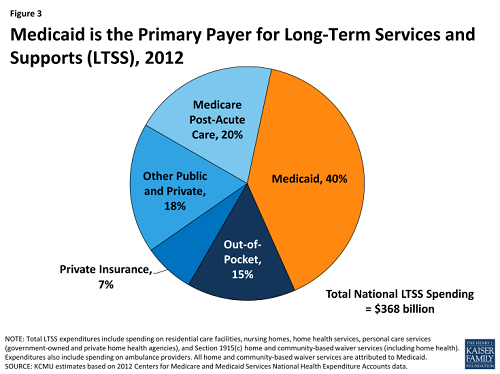 According to their report, Medicaid is the primary payer for institutional and community-based LTSS. In 2012, Medicaid outlays for institutional and community-based LTSS totaled almost $148 billion, accounting for 30 percent of total Medicaid expenditures that year.